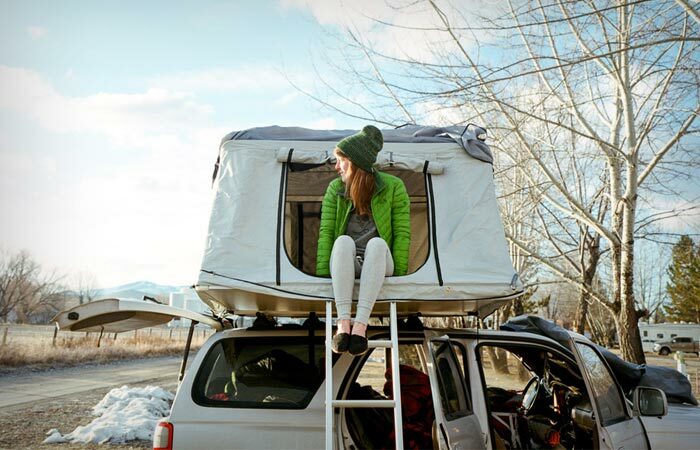 Poler has been known to deliver very useful stuff for outdoor lovers and their Le tente rooftop tent might be their best product up to date. 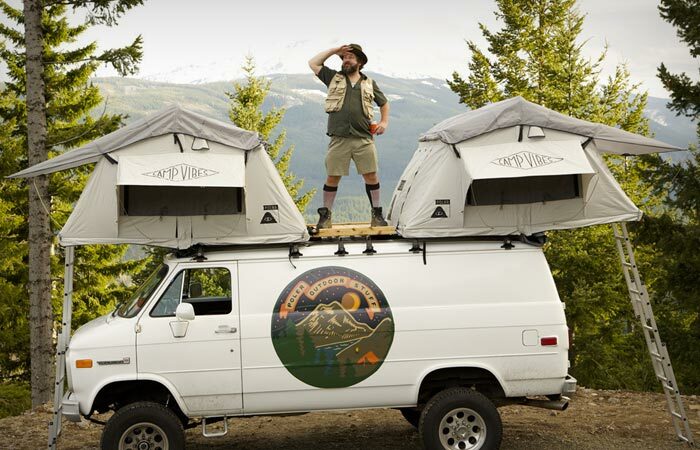 It is essentially a tent that gets attached to the roof of your vehicle. It is a simple construction made of durable waterproof canvas to ensure sturdiness under hard conditions. The frame is made of aluminum poles which are light, but strong. 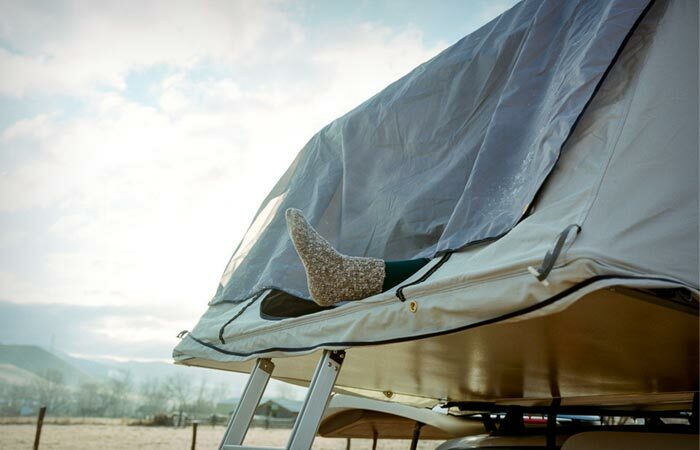 Additionally, the tent includes ladders which make access quick, safe and easy. When it comes to its assembly, the Poler Le tente employs a pretty simple system. 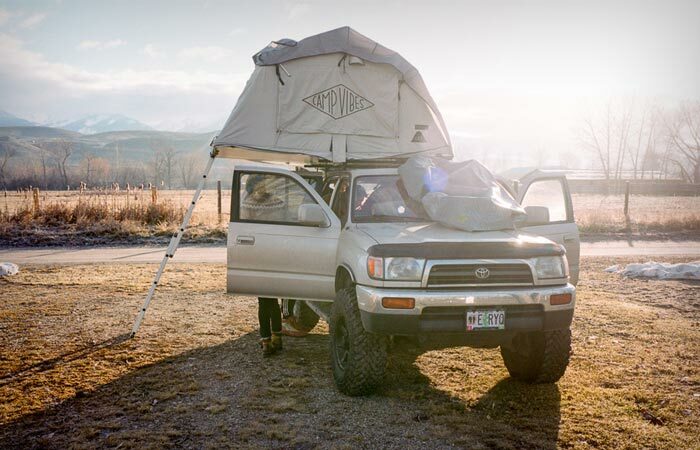 Mounting a tent on an elevated and often shaking surface such as rooftop of an SUV, might seem like a pretty dangerous endeavor, but with Le tente, gravity does all the hard work. A simple pull opens the tent and the rest is done all by itself. 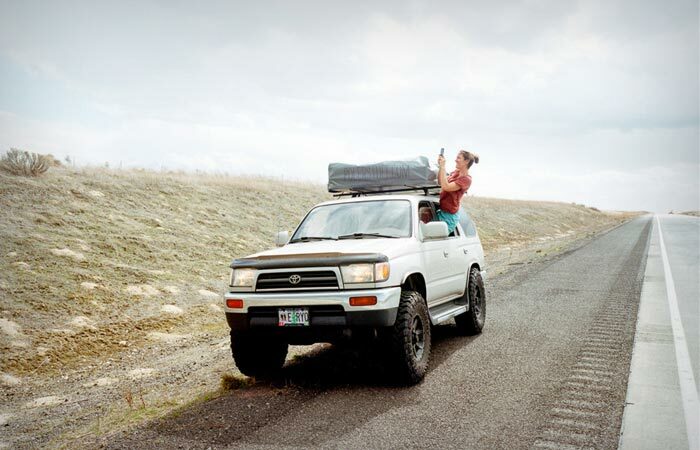 The Le tente gets attached to any standard Yakima or Thule bars. To increase comfort, the manufacturers have included a queen-size foam mattress. With the dimensions of 56″ W x 96″ L x 50″ H when open, the Letent can comfortably accommodate two people.